Von Miller after his record-setting sack. Credit: Ron Chenoy, USA TODAY Sports. Move over Simon Fletcher, it’s Von Miller’s time to shine. 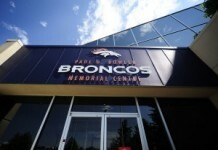 Fletcher, who dominated as a defensive lineman in the 90s, was the Denver Broncos all-time leader in career sacks, with 97.5 over his 11-year career. 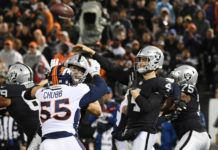 But, with his clutch sack on Baker Mayfield during the Broncos – Browns game during the third quarter, Miller racked up the 98th sack of his career, in less than eight years. 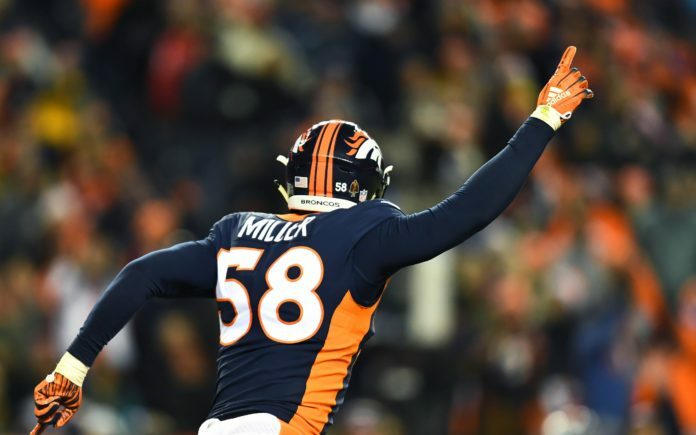 Now, Miller is the all-time leader for sacks in Broncos history. He was already arguably the greatest defender in the Denver Broncos’ storied history, and now he has one more stat to prove it. Miller was the AP Defensive Rookie of the Year in 2011 thanks to his 11.5 sacks and many other great statistics that season. He was also the Super Bowl 50 MVP for his two sacks — and a forced fumble — on the gigantic Cam Newton. Miller’s a sensational athlete and that’s shown in every game he’s ever played. He utilizes so many different moves, it makes him seem inhuman. Without a doubt, Miller’s best move is the speed rush, around tackles to make them look like they’re stuck in the turf. He’s so fast, and yet so nimble to make his body come close to parallel to the ground, that he’s to the quarterback in a split-second. But, Miller is no one-trick pony. He can power-rush with the best of them, utilize a spin move — which is deadly — or stunt inside. Which is exactly how he picked up his 98th sack, by starting outside and then diving inside to take down Mayfield. And, it can’t be missed that Miller is a monster when it comes to stopping runs at or behind the line of scrimmage. This year, he has 26 run stops, and was much better the last two years, with 44 and 53 respectively. 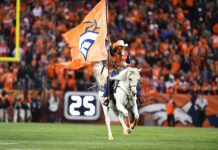 Unfortunately for Miller and the Broncos, their best efforts were foiled by the Cleveland Browns, a second straight loss for Denver, meaning the Broncos fell to 6-8 on the season, basically eliminated from the playoffs.